It may take a bit to acclimatize to the altitude in Colorado, but once your locum feet are firmly on terra firma, look up. It's a bird...it's a plane...it's 450 avian species who all call Colorado home. In fact, that renowned Rocky Mountain high has a lot to do with the sport of birding. Now, don't go "tsk-ing" your tongue. Birders are no longer khaki or tweed-wearing geeks or binocular-toting Miss Jane Hathaways; they come from every walk of life and there are over 50 million of them in the United States alone. Some birders travel the world to add another "lifer" to their list. Others sit quietly in the woods, certain that one day a black-capped chickadee will look them straight in the eye. Still others take locum assignments in Colorado. That's right, countless locum doctors are also birders (you could say they travel with binoculars and an MD), and as they take to the rivers and trails of Colorado, they also take to the "sights": falcons sharing the sky with droves of tiny white-throated swifts; owls snoozing inside hollow trees; and prairie chickens strutting across vast stretches of golden short grass. 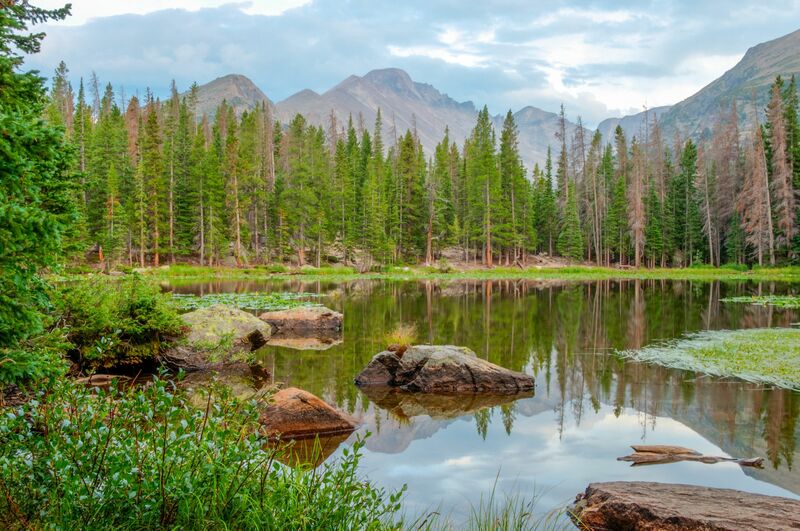 Slip on your environmentally friendly CrocsTM and wander Colorado's Kingbird Trail, nestled among the Black Forest of Ponderosa Pines that tower proudly over the region. This eponymous trail is home to the flying "tyrants" - their genus name and a richly deserved moniker (Kingbirds are known to guard their breeding territories aggressively, often chasing away much larger birds). They're also known to wait on an exposed perch for food or trespassers, though birders need not be concerned - unless they forget their wide-brimmed hats! This land of birds is also home to some of the most beautiful grasslands along the fruited plain, where the buffalo roam and the deer and the antelope play. Spend some time in the high country above the tree line and you'll sight rosy-finches, grouse and woodpeckers. You'll also discover golden eagles, mountain plovers, belted kingfishers, jays and bluebirds. Scenery freak? Get on over to America's Mountain, the great Pikes Peak, where the landscapes change as often as the weather. Spruce-fir forests, sagebrush hills and short grass prairies are home to green-tailed and spotted towhee, woodpeckers, hummingbirds and pygmy owls. Other notable wildlife includes bighorn sheep, pika (a small, chinchilla-like animal), mule deer and bobcats - the latter of which we advise you to avoid whenever possible.